The future of philanthropy is bright! The 2016-17 inaugural cohort of No Small Change awarded $12,800 to Dress for Success Palm Beaches and Gender Justice. Check out recent news coverage celebrating the success of No Small Change in its pilot year! 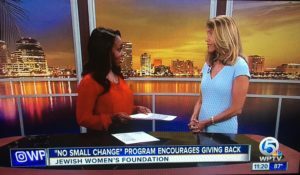 NSC on local news – WPTV! 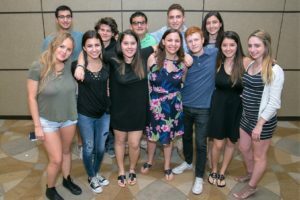 NSC is open to Jewish high school students. For program details, click here.